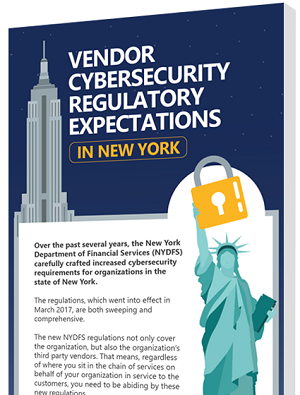 Are you in compliance with the NYDFS cybersecurity recommendations? The relatively new New York Department of Financial Services (NYDFS) regulations not only cover the organization, but also the organization’s third party vendors. That means, regardless of where you sit in the chain of services on behalf of your organization in service to the customers, you need to be abiding by these new regulations.